while giving forbes a tour of its in-house design studio, ford ceo jim hackett showed off a sketch of the rear of an upcoming, somehow-a-real-thing-despite-the-words-that-follow-this (wait for it) all-electric performance-oriented crossover utility vehicle based on the mustang platform. if reading that didn't cross your eyes or cause a loss of consciousness, congratulations: you're less confused than some automotive journalists. this sort of idea — an electric suv with mustang-based styling and underpinnings — is part of ford's drastic shift in strategy as it attempts to remain profitable on the backs of suvs and pickup trucks. the automaker says the still-unnamed model will aim for 300 miles of electric range when it debuts in 2020, establishing a clear intent to take on the current king of the all-electric suvs, the tesla model x. that's pretty funny considering the ford team developing the vehicle is called "team edison," and thomas edison was a contemporary rival to nikola tesla. 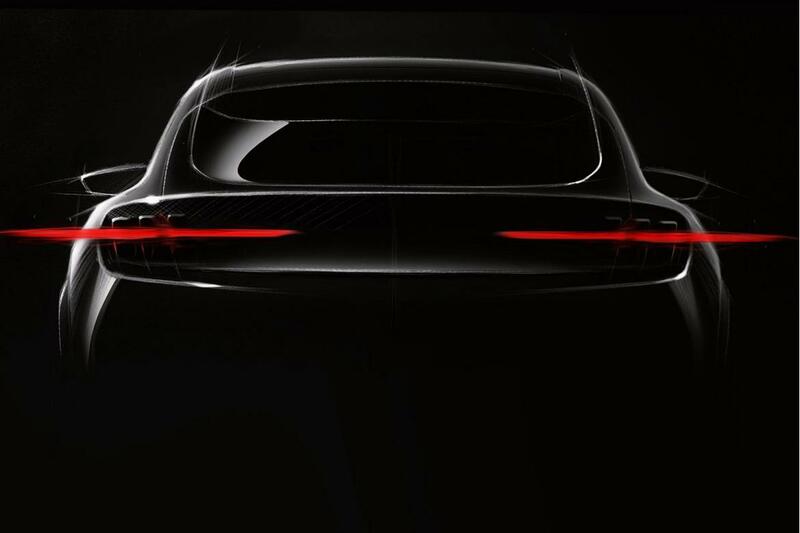 clearly visible in the sketch are the same signature three-bar taillights of the mustang. the suv also seems to have a higher roofline — a given if ford intends for adults to sit in the rear seats. the sloping roofline and short, almost ducktail decklid indicate the potential that this design will look less like a traditional suv and instead bear the awkward profile of vehicles like the bmw x4 and x6, and mercedes-benz glc and gle "coupes." other details about the new vehicle remain sparse, although forbes reports it may have a larger multimedia screen than current models and will come with the next generation of ford's multimedia system. while ford vehicles currently feature sync 3, there's nothing to indicate that the system will get an entirely new name or simply be another sync iteration. i look forward to ford's attempt to knock tesla off its electric throne. in a blog post on medium, the head of team edison rightly points out that "stakes are high" for ford. i also think seeing at least a drawing or photo of the entire vehicle would be great — supa, even. we'll be sure to keep you updated as we learn more.